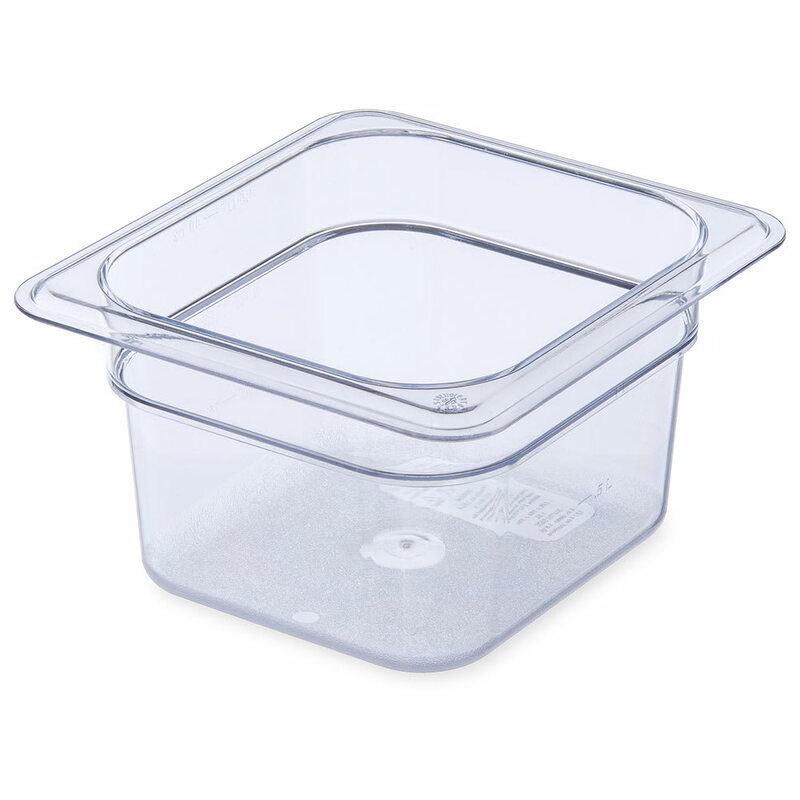 The Carlisle 3068407 StorPlus™ sixth-size food pan is resistant to scratching, chipping, and staining since it is made of polycarbonate. To help prevent cracking, the top and bottom corners are reinforced. Product is visible through the clear material and, with capacity marks, staff can easily keep up with inventory. 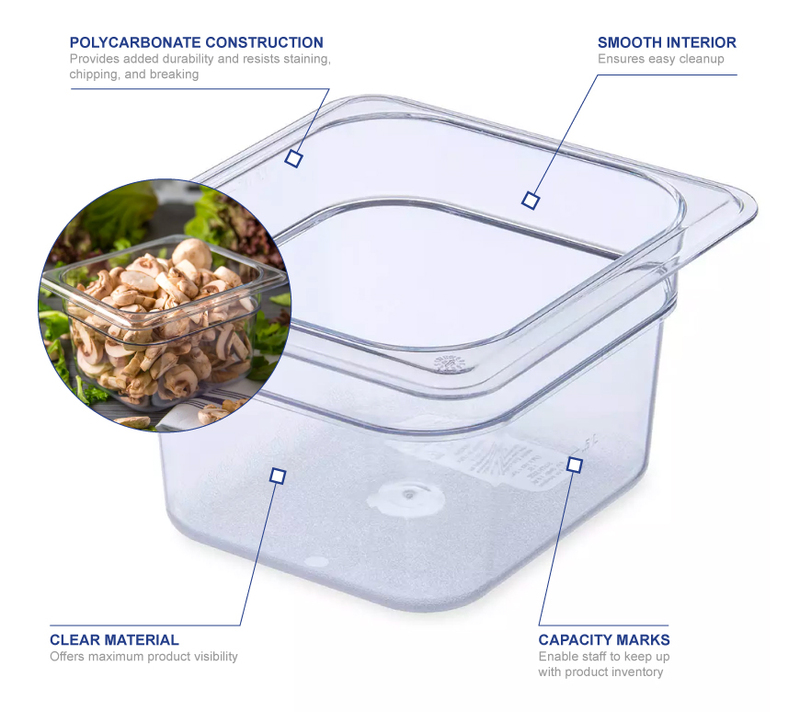 The bottom is designed so utensils can reach every bit of the stored product, and the smooth interior finish facilitates cleaning. 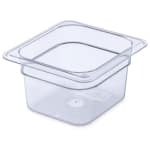 Since the Carlisle 3068407 StorPlus sixth-size food pan is safe in temperatures between -40 and 212 degrees Fahrenheit, it can be washed in dishmachines. It measures 6.88 inches long by 6.38 inches wide by 4 inches tall and holds 1.7 quarts of product. To save space in storage areas, the pan can be stacked with other sixth-size pans.